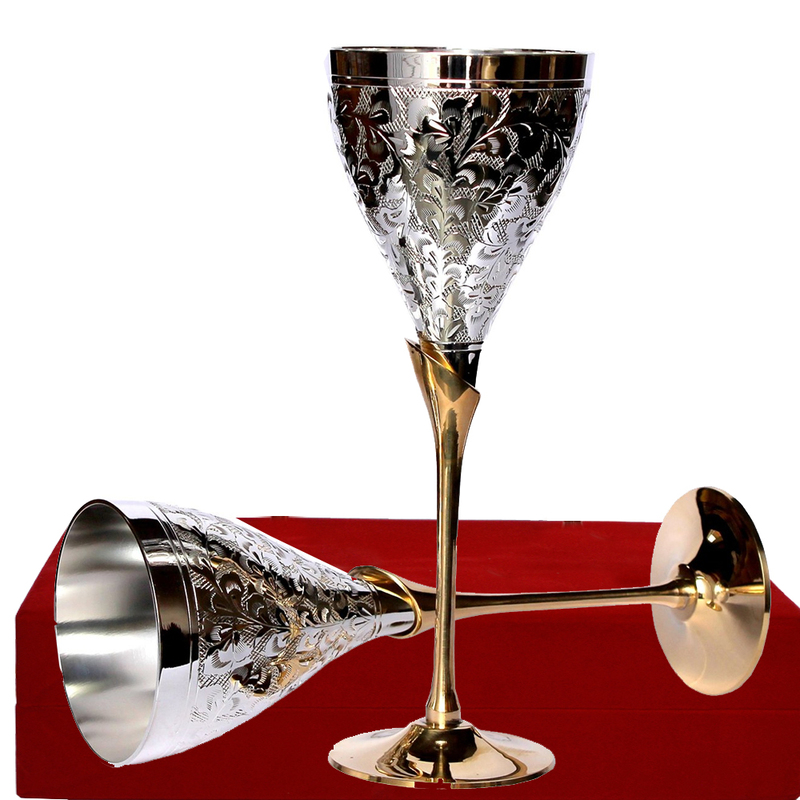 This German Silver Wine Glass Set boasts of intricate design etched into its metal body, which makes it a sight to behold. 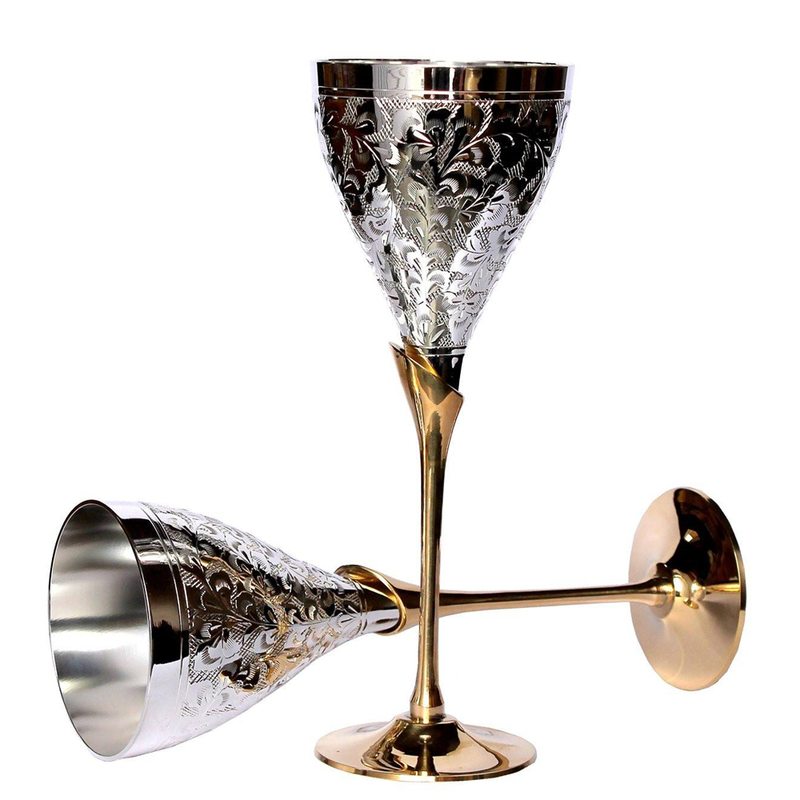 The elegant shape Read More..of the wine glass pair is bound to accentuate the feel of sipping the finest of wine from them. Moreover, the crimson box that they come packed in adds to their premium feel. Show Less..